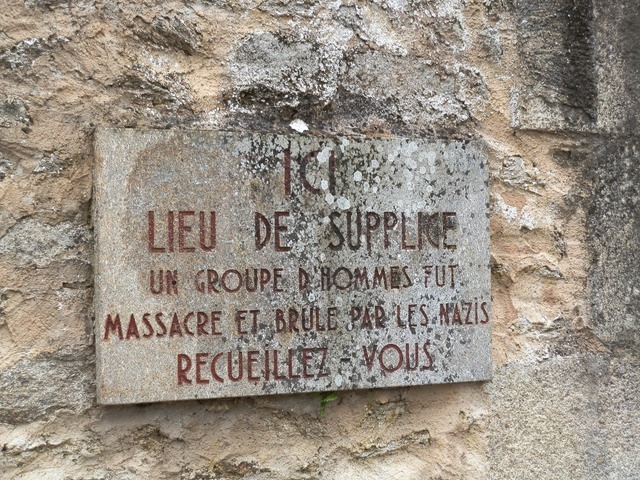 Throughout the village of Oradour-sur-Glane, simple signs mark locations where men were killed. "Here is a place of torture. A group of men was massacred and burned by the Nazis. Meditate a while."